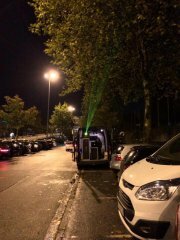 Our show laser lights are very versatile. 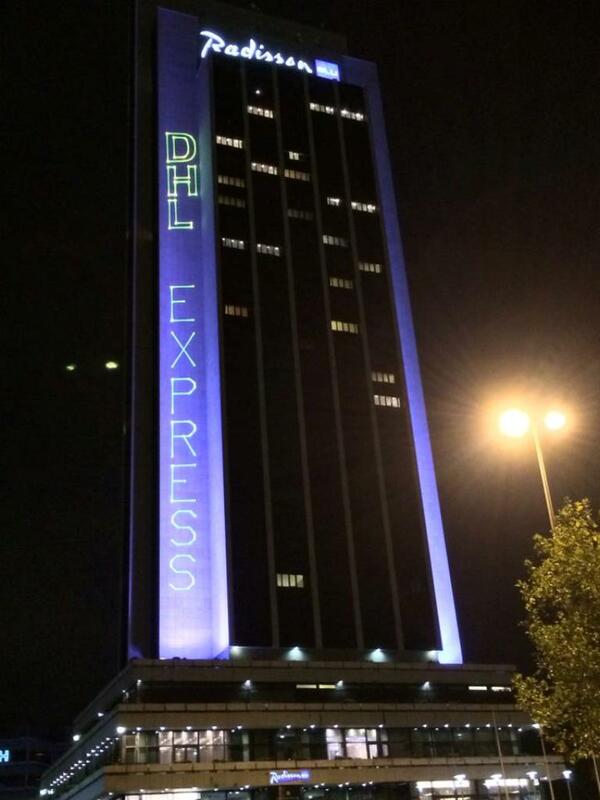 In Hamburg / Germany one RTI PIKO RGB 14 laser light has been used for a targeted Guerilla Marketing action. 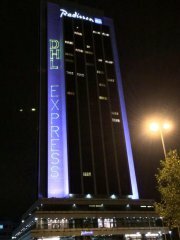 The guys chose the Congress Center Hamburg, a prominent building in the city, to project the company name of a big logistics company on the wall of the tower. For this action almost no preparation time was necessary. 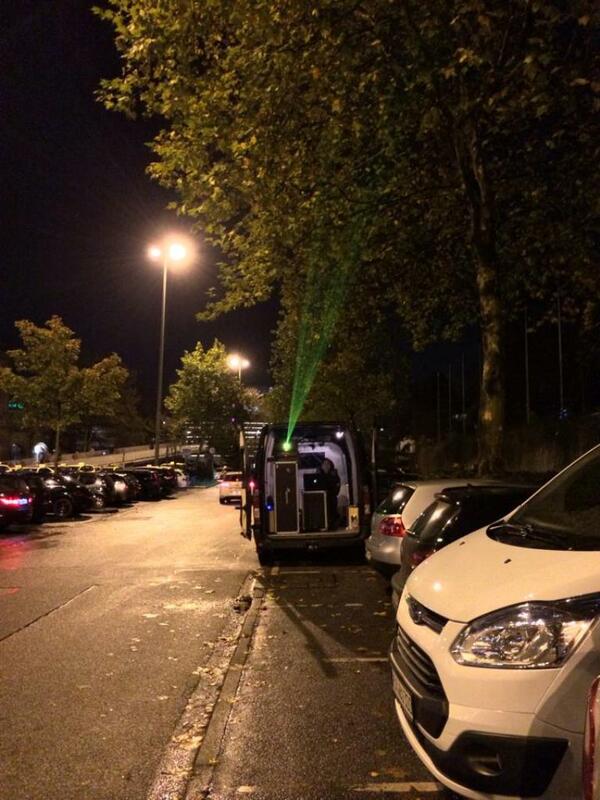 The RTI PIKO RGB 14 projected out of a Van.